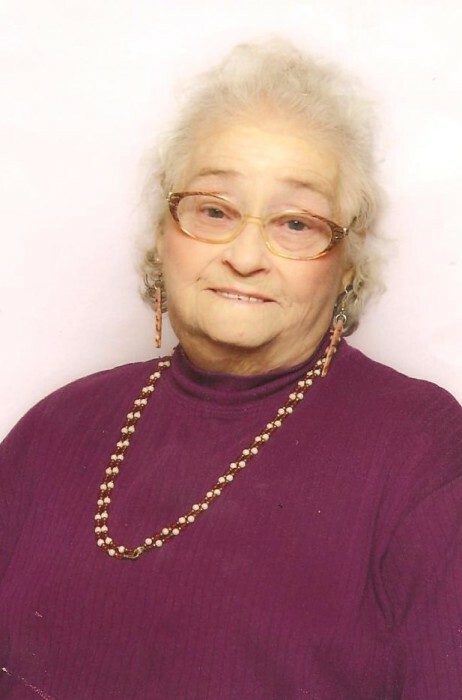 Ethel L. Schultz, 89, of Alpena passed away Saturday, January 26, 2019 at her home surrounded by her loved ones. Ethel Louise Millard was born in Alpena on November 1, 1929 to the late Lawrence and Florence (Gohl) Millard and married Harold F. Schultz on October 15, 1949. He preceded her in death on September 17, 2005. She was an active member of St. Paul Lutheran Church. Ethel enjoyed oil painting, sewing, doing ceramics, playing Bingo, cards and tending to her flower garden. Surviving are 3 children, KathRyn (Mike) Rupprecht, DeLynn Hardy, David (Grace) Schultz; 7 grandchildren, Angie (Dan) Hall, Jacob Krawczak, Sarah Hardy Rye, Jason Hardy, Kayla Gougeon, Nicholas Schultz, Anna Lopez; 13 great grandchildren; 2 sisters, Ruth Jaskowski, Lucille Cowgill; several nieces and nephews. Mrs. Schultz was preceded in death by 2 sons-in-laws, Allan Krawczak, Patrick Hardy; 2 brothers, Ernest Millard, Clarence (her twin) Millard; 3 sisters, Mildred Minton, Doris LaFave and Janet DeCaire. Visitation will take place at the Bannan Funeral Home on Tuesday from 2-8 p.m. and will continue Wednesday at St. Paul Lutheran Church from 10 a.m. until the time of the funeral service at 11 a.m. with Rev. Laraine Sundin officiating.